If you have never worked with your local metal fabrication shop, you may be curious about what this partnership entails. 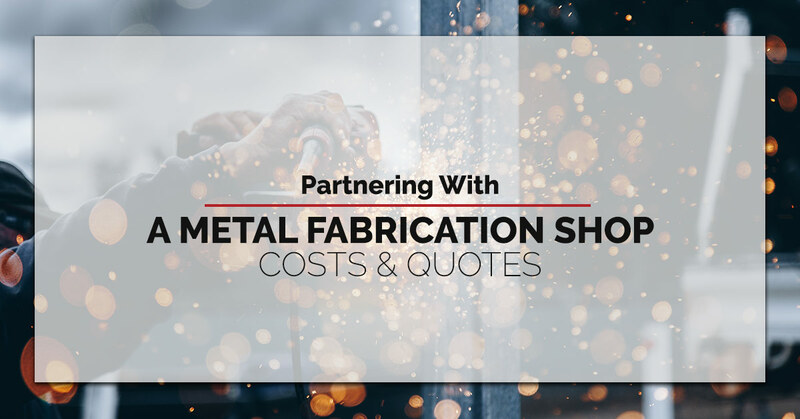 To help you understand what to expect when you contact your metal fabricators for a custom quote, Fort Miller FAB3 would like to share with you some information about partnering with a metal fabrication shop. Firstly, your partnership will begin with a consultation and brainstorming session, during which an experienced metal fabricator will work to get a comprehensive understanding of your project and help you develop a plan to make your idea a reality. They will ask you what exactly you need, when you need it by, and your budget. From this, they will then give you a custom quote for the job. Below are some of the factors that will be used to determine the price of your fabrication project. If you are in the Saratoga Springs area and are in need of metal fabrication, Fort Miller FAB3 is ready to help. Whether you are in looking for plasma metal cutting, robotic welding, bending, or some CNC machining services, we can handle virtually all of your metal fabrication needs. We take pride in having a diverse team of metal fabricators who match their skills and abilities with your needs. Call us today to learn more and to get your free quote. The cost of materials is a big component to the cost of any metal fabrication service. Unless you are supplying your own materials to the fab shop, this cost will cover a large portion of the quote. In addition to the raw cost of the materials, you must also consider the equipment and materials used for secondary, but necessary, services like welding. Similarly, the shipping and moving of the materials could also impact your estimate. For projects that require engineering — meaning, they are scrutinized through a systematic method in order to improve the value-cost ratio, thereby helping partners identify the most innovative and efficient ways for production — the initial quote will be higher. In some situations, hiring a licensed engineer will be a necessary part of legally implementing a project. If this is the case for your custom fabrication project, this will be included in your quoted cost. How Do I Partner With A Fabrication Shop? Simple. If you are in the Saratoga Springs area, you give this number a call — 518-547-4244. When you call Fort Miller FAB3, we will give you a detailed quote for your custom metal fabrication project, and we will work with you to find the most cost-effective way to make your ideas a reality. Our in-house team has all the resources and capabilities required to provide high-quality custom projects. From robotic welding to plasma cutting, we are here for all of your fabrication needs. Contact us to schedule a free consultation. If you are in search of the right fabrication partner, keep this information in mind. Searching for partners who specialize in custom projects and in helping their customers identify the most cost-effective way for production can make all the difference in the long run.